Peter Drucker said, "If you can't measure it, you can't improve it." But if we focus on measuring stuff that doesn't matter, much , then we are managing poorly. Can we consume our way to success? Consumerism is the attitude of "what should I buy?" Don't go into the trade show as a consumer, go into the trade show as a producer. We too frequently think of a health program as a calendarized list of health practices. Just because everyone believes something doesn't mean it is right. Falkner again used his recipe analogy. We have been looking at recipes for a long time. We need to be developing better cooks. Let's look at the history of agriculture. Dr. Roger's researched innovation in agriculture in the late 1950s and 1960s. He looked at practices in the 1930s. Roger's bell curve included innovators, early adopters, early majority, late majority, and laggards. Roger's research showed that if it is a disruptive technology, unless you were an innovator or early adopter, your business (farm) was not successful. What were the disruptive technology in corn production? What are the disruptive technology in the beef industry? To be a disruptive technology it has to significantly increase production efficiency. How do we manage our disease risk factors? Hidden commingling. This could be as simple as commingling young cows and old cows. Flies carry pinkeye, but they also lead to more tail swatting. The tail swatting can lead to eye scratches that make cattle more susceptible to pinkeye. Sometimes what we call a disease problem is really a management problem. Some times the disease doesn't move because we move cattle; sometimes it moves with people. Be more restrictive about who you let on the farm. Endemic stability means that we don't prevent exposure; we manage the timing and dose of the exposure to minimize impacts. In cow calf setting, quarantine new purchases 30 days to protect existing herd from new diseases. 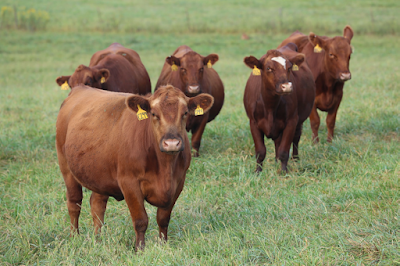 In feeder cattle, use reverse quarantine to protect new purchases from existing pathogens. Use testing when you can take action on the results. 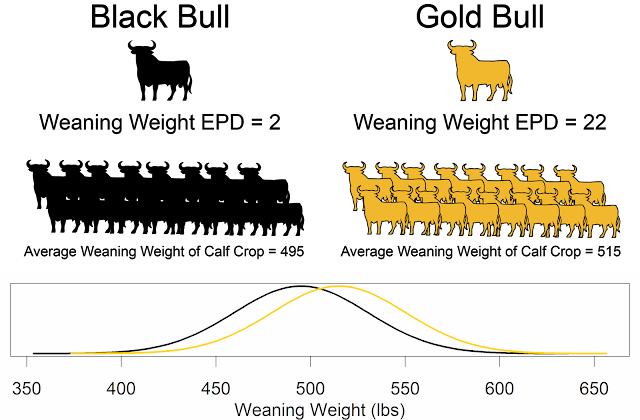 You don't have to wean all of your calves at the same time. You could wean one group early, one at normal time, and one late. Once a group is weaned you can send them out to a pasture. Let's apply systems thinking to pinkeye. What does a case of pinkeye cost? Depends, is it a commercial calf or registered herd bull prospect? Vaccines are marginally effective. Vaccines are often improperly timed and boostered. Sometimes based on timing of vaccination, disease is shifted into the marketing period.